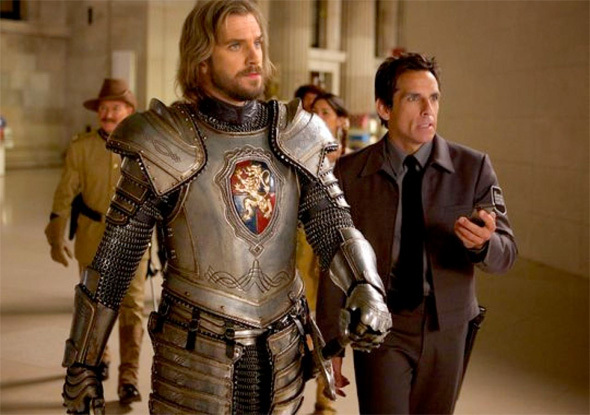 In what will likely be the final adventure in this family friendly franchise, Ben Stiller is back in Night at the Museum: Secret of the Tomb, and the first photos from the film have arrived. We get to see Robin Williams back as Teddy Roosevelt, and also Dan Stevens joining the film as Lancelot (but no sign of Rebel Wilson yet). This time the action moves across the pond in London's British Museum. This time the Egyptian Golden Tablet of Pharaoh Ahkmenrah, which makes the museum exhibits come to life at night, is corroding, and something must be done to save it. This will probably be more of the same, but whatever. 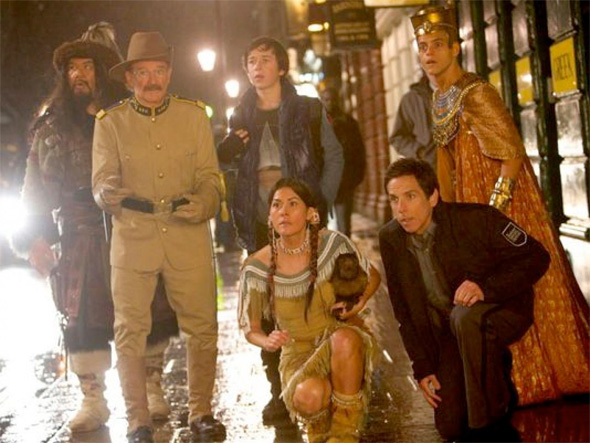 Night at the Museum: Secret of the Tomb is directed by Shawn Levy (Night at the Museum, Real Steel, Date Night) and written by Thomas Lennon & Robert Ben Garant and David Guion & Michael Handelman. 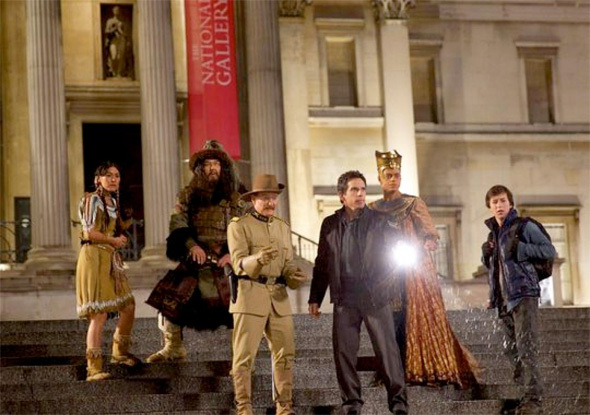 This time, the Egyptian Golden Tablet of Pharaoh Ahkmenrah begins to corrode, forcing international action in London's British Museum and Larry Daley (Ben Stiller) Pharaoh Ahkmenrah (Rami Malek), Teddy Roosevelt (Robin Williams), Attila the Hun (Patrick Gallagher), Sacajawea (Mizuo Peck), Roman centurion Octavius (Steve Coogan) and Jedediah (Owen Wilson) must all team up again to save the day. Revel Wilson and Dan Stevens also star in the film which 20th Century Fox releases on December 19th late this year. More laughs from this article's comments section than will be had in the film. I will proly enjoy this a bit. literally thought that the above pictures were from the previously released films.